City life tends to be demanding and draining, so it’s essential to develop a safe space that enables the occupants of a home to relax. One way of achieving this is to switch up the concrete jungle for some time in a green space such as a park or common, but what can you do if you are looking for a little privacy while you gather your thoughts? It’s possible for anybody with a little outside space to create their own urban oasis. It’s certainly easier if you have a substantial garden space, but that could be a pipe dream for city-dwellers who reside in flats and apartment blocks. Thankfully, even the smallest space – right down to a balcony or veranda – can be turned into a sanctuary with a little effort and some clever planning. This guide will talk you through the art of generating your own urban oasis, no matter where and how you live. The secret to creating an urban oasis is to treat the outdoor space as a room unto itself. No matter how small the space you have to work with, there is a design that is appropriate for your own urban oasis. Pick up some tasteful garden furniture, and consider what particular aesthetic that you are looking to achieve with your outside space. Pick up a patio heater and you can even enjoy your urban oasis during the winter months, when low temperatures would ordinarily drive you indoors. Coastal Chic – Coastal chic is a design decor that can be used for an indoor urban oasis (you’ll learn more about this later in this guide), but it can be hugely welcoming outside. You could install a fire pit in your garden space to get that beach party sensation, utse a parasol to replicate a beach umbrella, and maybe even incorporate some refurnished woods on a variety of surfaces to provide a warm, nostalgic feel of childhood – splash some blue and white paint for that true shoreline sensation. Line your surroundings with plenty of low-maintenance greenery for the impression of a tree-lined seaside town and the only thing that will be missing will be an ocean view. If you have a fence space to spare, why not hang canvases to rectify this absence? It’ll certainly make for a different experience to the sprawling concrete of a city. Small, but Perfectly Formed – Make the most of your outdoor space the same way you would a small room inside your house. You may be surprised at just how much you can achieve with a few square feet. Lay a rug on the ground and surround it with small but comfortable garden furniture – ensuring that you do not forget to accessorise with additional cushions – and dot some plants and potted trees around the space. This will help you feel as though you are relaxing in a conservatory while also enjoying the sensation of the sun on your skin and a breeze in your hair. Treat your urban oasis like you would a small room in a house. Keep the furniture spaced out, with plenty of room in the middle of your garden or patio to create a light and airy effect. Of course, you will still require some degree of privacy; later in our guide, you will find some suggestions as to how you can decorate any potential fencing that surrounds your property. Al Fresco Dining Space – One nice aspect of city living is eating out, but why not bring the dining experience to your own urban oasis? With the right decor and surroundings, you can make your own garden space the most desirable restaurant in town. If you plant the appropriate trees and bushes and you can even grow your own vegetables to create a culinary paradise. All kinds of fruits and vegetables can be grown in a garden – or indoors on a window ledge, if necessary – while you can also create a relaxing dining room with the use of a low table and chairs. Replace decorative plants with edible alternatives so that they do not take up too much space, and consider installing a barbeque or fire pit to cook up a storm for yourself and any guests. Apartments with balconies would need to check with fire regulations before such an undertaking. Modern Flair – Many urban oasis designs revolve around a healthy and comfortable sense of nostalgia, but why not embrace a modern aesthetic? It’s always advisable to leave plenty of space in an outside area, and so the biggest change would be switching out wood for granite wherever possible. Almost any plants or potted trees will still pair naturally with this design choice. Gravel is typically preferred to grass in a modern setting, but that’s just one less thing that will require maintenance. You can make up for this absence of greenery by applying a rockery that will attract the growth of moss. Natural Sanctuary – Everything that was once old eventually becomes new again, so why not embrace a natural look by exclusively using recycled and refurnished woods and materials for your urban oasis? By complementing these classic elements with decorative plants you’ll never have a shortage of things to attract the eye. Choosing décor and a design is just the first step of creating your own urban oasis – there are all kinds of touches that can be added to help ease the sensory overloads of city living. Another way of adding a sense of sanctuary into your city life is to attract wildlife into your garden. 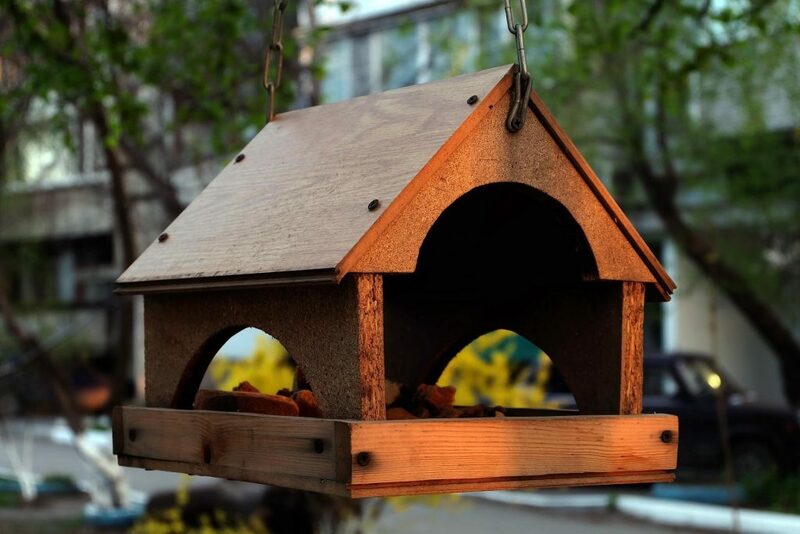 Birdhouses can provide all kinds of fascinating company that you can enjoy watching come and go for hours, and it’ll make a pleasant change of pace to have some small birds twittering in and out of your urban oasis rather than the usual city pigeons. Another solution would be to install a garden pond, if space allows. The surface of the pond should be covered in some capacity for the safety of the occupants – birds like to swoop down and munch on the fish within. With that taken care of, you have an opportunity to embrace tranquillity as you watch your scaly pets swim around their enclosed space without a care in the world. Line a pond with plant life for a particularly charming look. In terms of lighting, don’t use harsh, fluorescent illumination – you’re exposed to that every time you step outside. Instead, drape some fairy lights around your fence or trellis for a gentle, colourful and altogether welcoming sensation, using lanterns and tea lights for additional candlelight where necessary (provided it’s safe to do so). Remember, an urban oasis is all about keeping things natural, and fire is the most natural form of light available. Having said that, there’s nothing wrong with lending your sense of smell a helping hand by using scented candles to eradicate any unpleasant odours wafting in from the city environment. What Plants Should You Use? The design aesthetic that comes with an urban oasis is important, but in the process of hunting down your furniture the importance of your plant selection should ever be neglected. Let’s take a look at some of the greenery that can be added to your outdoor space that will make you feel as though you are positioned in a park. Vines can be a fantastic addition to any urban oasis, regardless of the amount of ground space that may be available. They take up no room on the floor, and can make even the most concrete-surrounded cityscape feel like a garden of serenity. They’ll also make an area feel a little cooler, ensuring that you will never feel too uncomfortable when the hot sun is beating down upon you. 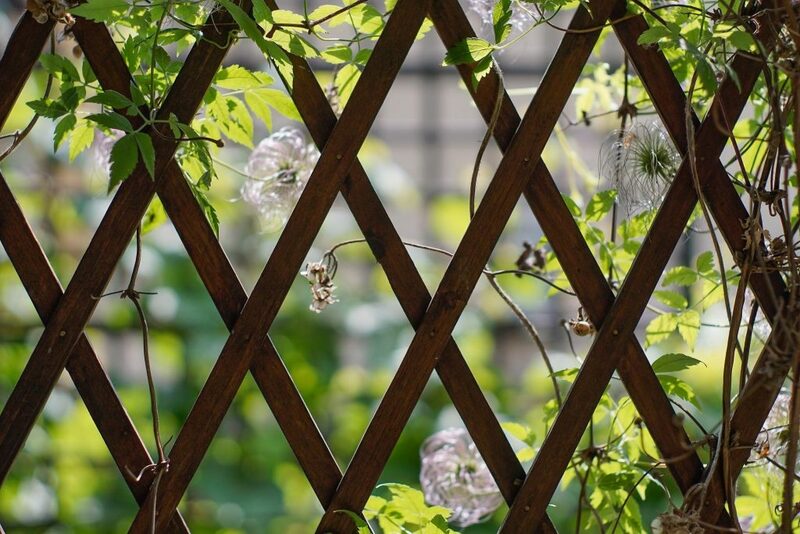 If you have a wooden fence, you could even add a trellis to increase the variety of flora available to your space. You don’t need to have a lawn to enjoy green grass. Astroturf can be picked up comparatively cheaply and in variable quantities, meaning that it can be laid in squares, or you can plant seeds for zoysia grass that will gradually creep and expand, perfect for a small window box. You can even seek green through alternative means, such as laying gravel or a rockery that will attract moss. These will compliment your vines and any plants that may be situated or any small trees that you may wish to pot. Crape Myrtles – They may not have a pretty name, but crape myrtles are glorious trees that bloom all year around in a variety of colours. You won’t even need to pay too much attention to them during the winter, as they remain hardy in cold and dry temperatures. Citrus Trees – Never growing any higher than six feet, a row of potted citrus fruit trees can be an amazing addition to a garden. They smell as great as they look, too, and will bloom with fruit throughout the spring and summer. Just a note of caution – citrus fruit trees struggle to thrive in cold UK climates, so if you live in a chilly territory invest in a patio heater or move them inside during the winter months. Bamboo Trees – A bamboo tree is less a tree and more a giant mass of green grass. However, a bamboo tree is never unwieldy – they hug close to a wall or fence surface, taking up a small amount of space with a great deal of impact. Japanese Maples – It’s hardly surprising the land of the Bonsai provides plenty of options for potted trees that suit a small garden space. The Waterfall Japanese Maple is probably the most space-effective, but whichever of these trees that you choose, you are guaranteed a beautiful vision that will bloom heartily during the summer months. 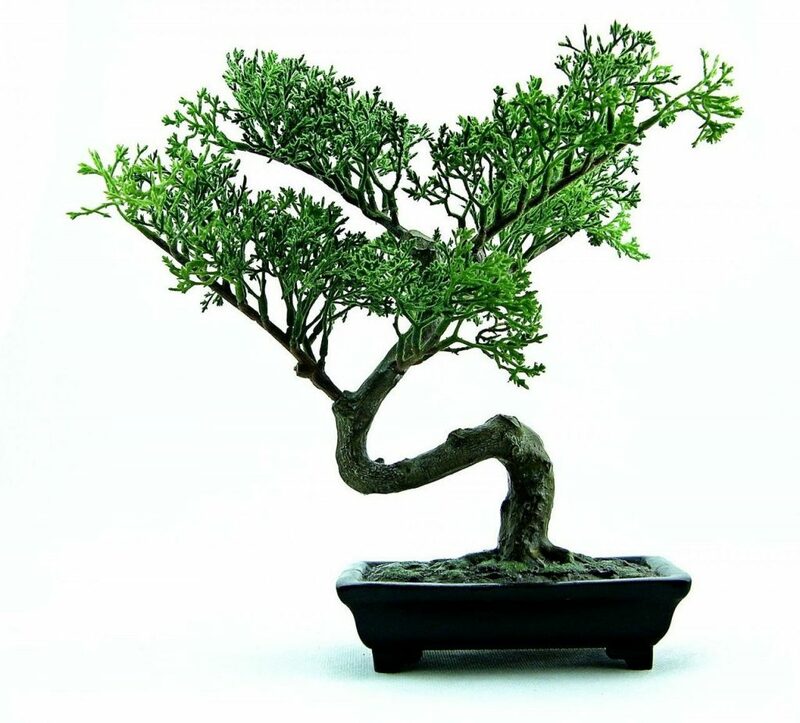 Or, of course, just pick up a traditional bonsai tree! We promised to discuss plants, however, so let’s think about which plants are ideal for use in a small garden space. If you’re looking for tall plants to provide some privacy to your sanctuary, then you could do far worse than hollyhocks. Be warned that they can grow as high as twelve feet tall if not maintained, but they make for a beautiful sight. Marigolds are much smaller and more manageable, and they come in a variety of different shades and colours. Fuchsias, chrysanthemums, geraniums and hydrangeas are always a popular choice for a garden of any size. Alternatively, just add some artificial hedging to your trellis or fence, which will make a pleasant green wall. It’s far from unheard of for a city apartment to have a complete absence of outdoor space. Don’t panic if this describes your own living quarters, as there are plenty of opportunities to bring a little of the great outdoors to the interior of your home – all it will take is some judicial application of small and compact greenery, and a few decorative features. Firstly, thank about your furniture. Rattan and wicker both have an outdoor feel that will help you feel as though you are seated outside, especially if positioned beside a large window in a light and airy room. Think about applying coastal chic to your general decor to make the most of this feeling. Next comes the essential addition of some household plants. 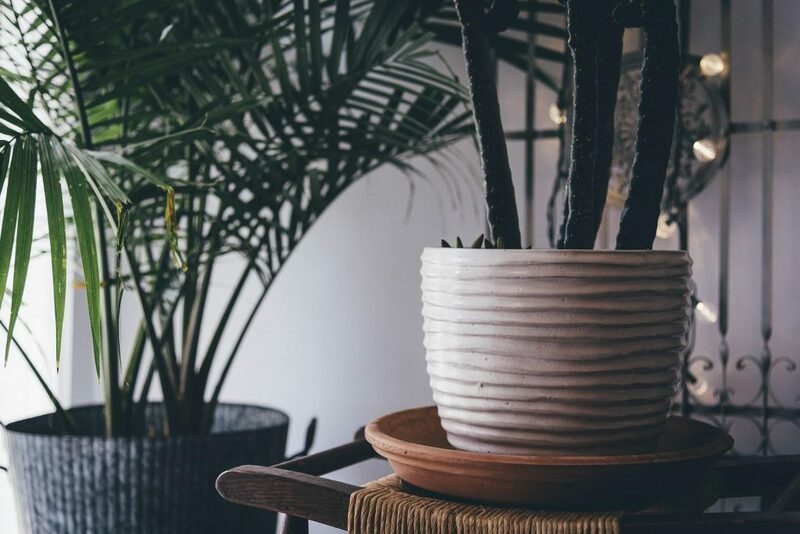 There are many different plants and indoor trees that are suitable for apartment living, and all of the pair beautifully with a rattan plant pot. 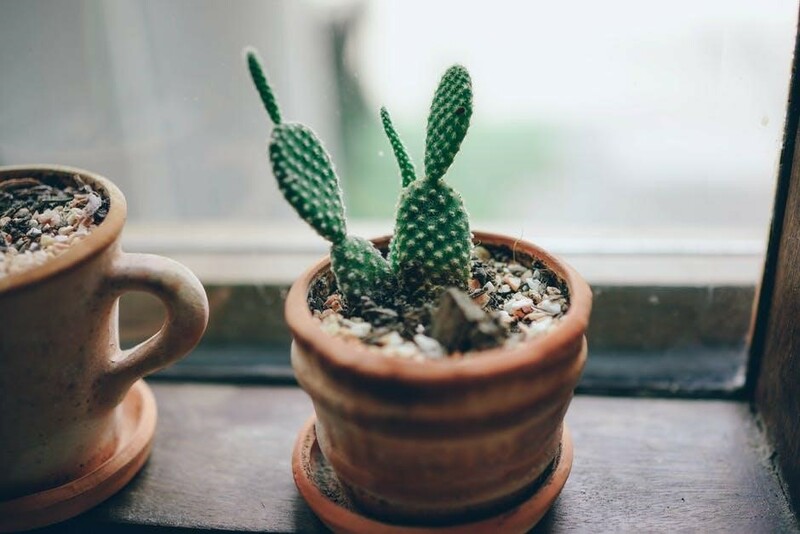 Start small, by dotting a number of cacti around your home (obviously nowhere that they could cause an injury!). Not only are these plants great to look at, they are extremely low maintenance, seeking water as little as once a month – perfect for a busy big city lifestyle. Jade – A fine-looking plant that loves to be disregarded and left to flourish in a cool, dry place and does not take up much space at all. Jade will only need to be watered when its soil is completely dry. Philodendron – Arguably the prettiest plants available to any interior space, philodendron thrives when housed in a small, tight pot. It will hibernate throughout the winter and require no attention during the cold season, so just ensure it receives plenty of sun during the summer. Cast Iron Plant – If you have a house cat that likes to tuck into the flora of your apartment, the aptly named cast iron plant is an ideal addition to your home. It will need very little in the way of attention, and the leaves cannot be broken without some serious determination. Pothos – A strategically placed pothos, ideally on a high shelf and allowed to dangle, can make for a great look without taking up much space in the first instance. This is another plant that relishes dry soil, so watering will be left to an absolute minimum and the results will last for a prolonged period. 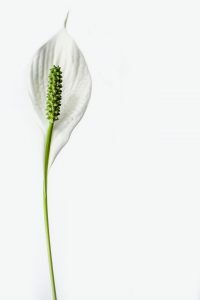 Peace Lilies – These plants may require plenty of water, but they prefer to greedily gulp as much down at once as they can. This means that there is no need to worry about being away for a few days and returning to a dead peace lily. They are also stunning to look at, and an essential addition to any urban oasis – can you imagine not feeling relaxed in the presence of such natural beauty? The fact that they also purify the air is just a bonus. Plants make a big difference to an apartment, and help make it feel less like a house and more like a home. No matter how small your living space may be, you deserve an area in which you can really relax. Just don’t forget to accessorise without cramming too much furniture into too condensed an area. 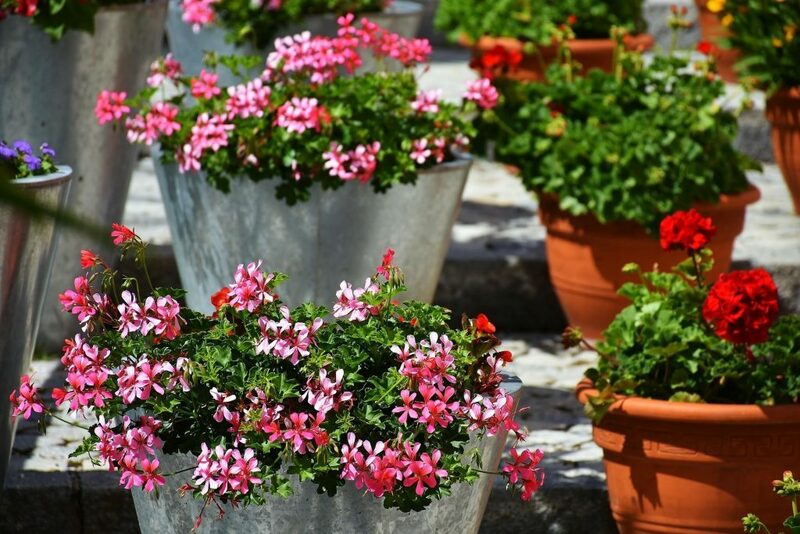 The appropriate storage solutions can also make a huge difference and help you feel like you are outdoors throughout the summer, in addition to complementing your plant pots. As you will see, there are a variety of methods that can be applied to your own personal urban oasis. The addition of greenery can make all the difference to your everyday life, and create a place to relax and allow the stresses of the modern world to melt away. Start generating yours today – it’s more accessible than you may think.